Clogau Dwynwen Sterling Silver Opal Bangle. 3SDWB. Fall in love with this romantic Clogau Dwynwen Sterling Silver Opal Bangle inspired by the Welsh patron saint of friendship and love. Dwynwen father forbade her love for a young man named Maelon as she was betrothed to another. Distraught she prayed to forget her feelings, which led to an Angel granting her three wishes as she slept. The feminine sterling silver heart is beautifully entwined in rare Welsh gold to represent the trio of wishes. The first restored her love, the second desired for true lovers to meet and the third required her lifelong thankfulness. The handcrafted rose gold that twists so elegantly around the heart frame features a shimmering pink opal to represent the potion given by the Angel to forget past hurt. The stunning Clogau Dwywen Sterling Silver Opal Bangle is the perfect gift for a loved one to cherish. Spoil your partner this Valentines, birthday, anniversary or St Dwynwen day with this breathtaking bangle. 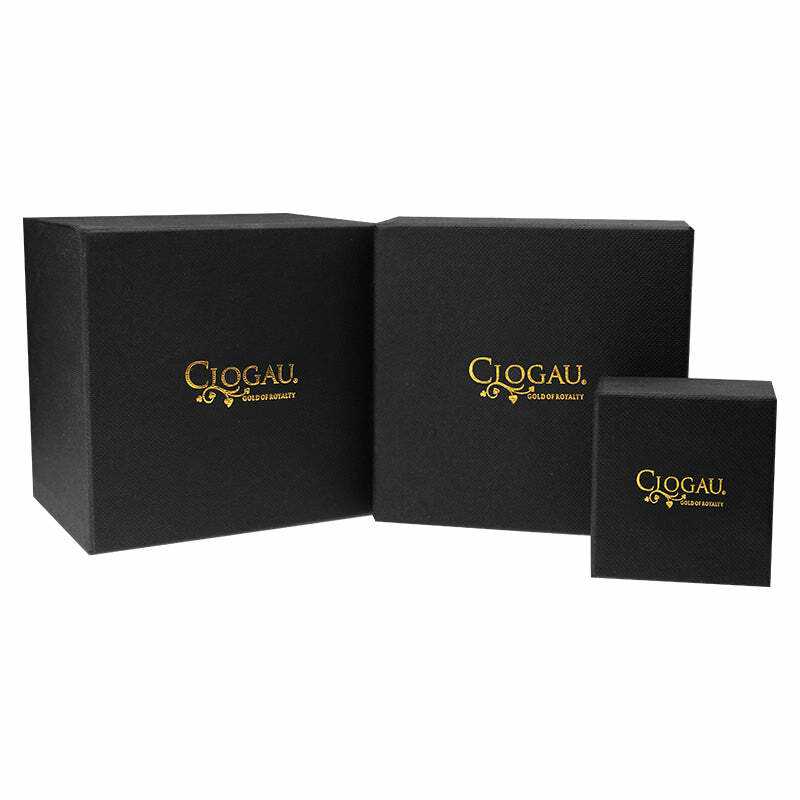 All Clogau Jewellery purchased from W Hamond lovingly and securely dispatched with Cloagu's elegant jewellery packaging. Matching items are available within this collection.